Today in this article we will talk about the Top Android Hacking Apps and Tools of 2018. In the last few centuries, technology has grown rapidly to make the world more advanced than ever. In the world of advanced technology, we can’t ignore the progress of digital technology. Digital Technology is the fastest growing part of the advanced technology. 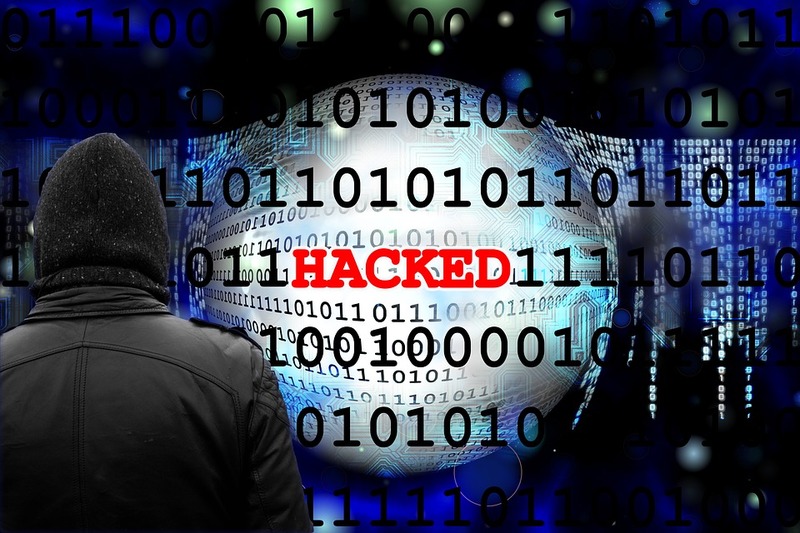 But in the fastest growing digital world, there are some dark sides as well, such as Ethical hacking, which used to steal the personal information of the users by playing many tricks. In the today’s world hacking is so common and no more limited to computers only. Today hackers can use smartphones as well to steal personal information or hack any device etc. There are now numbers of Android hacking apps introduced in the software market. Here, I am going to disclose 30 Top Android Hacking Apps and Tools 2018. Hacking WiFi passwords, mobile security locks, Facebook, Twitter, WhatsApp account became so easy but you must understand the way of working of your respective app. Normally people use such apps for the wrong and illegal purposes, but they usually forget that intelligence agencies are all the time active and watching user’s activities so before using, you have to make sure that your activities will be only for fun. Disclaimer: We don’t support the negative use of Hacking apps and books, the article is written only for knowledge purpose so you can learn and prevent yourself from hacking traps. Zanti is among the Top Android Hacking Apps which is utilized for WiFi penetration or security appraisal. But, on the opposite side, the number of downloader’s performing WiFi hacking and do illegal activities utilizing this application. Using this application, you can control that cell phone, tablets gadgets that associated the same WiFi also used by you. With the push of the button, lets security managers reach the risk height of the network. This is another amazing android hacker app. This is fully automated designed to fulfill all the requirements which users want. DroidSQLi allows you to launch the highly magnificent launcher that is SQL Injection attacks on the pointed URL. After you got your targeted URL then, you just need to press injection button, it will be done. This is so easy to install it. This is also the top hacking tool for 2018. Well, it only works on the rooted android, so, firstly make your android rooted then apply this. CSploit, it is basically an Android network analysis and it is promised to give you the best IT security experts. Essentially it can keep running on any UNIX-based systems, however, for the now just Android is supported. Nmap (Network Mapper) is a free and open license utility for arranging disclosure and security inspecting. Numerous frameworks and system directors also that it’s valuable for users, for example, network inventory, overseeing service redesign schedule and observing host or service on time. It is among the Top Hacking Apps basically designed for the Unix OS but also perform great work for android, works on both unroot and rooted device. You must be familiar with the name APK inspector; many of us know how to use it. If no then, it is really easy to utilize it. By using the app you will receive any code by doing some changes in the code you will be able to get access to the full features and can perform well reverse engineering on any app offered by android and also can apply changed as you wish. Hence, you can hack any desired app by using this. It is also among the Top Android Hacking Apps basically used for hacking the WiFi. When you install this useful application it will show you the WiFi in the green tab so you can without much of a stretch apply random PIN that given by this application and get WiFi secret word of that network. It works in the rooted Android device only. It is basically used to hack Face Book, Twitter, and other social accounts. This is also very useful for testing the security of your android smart device, now you will be able to hack the social accounts by using this top hacking app. Droid Sheep Guard is a free application for the Android that protects you from security programmers when you are associated on the net particularly on open WiFi system. This is very useful when you are using your social accounts. This is another amazing hacking app used to redirect the large traffic on the local networks. Network Spoofer is another smart app. This application is an amazing amongst other security testing tools for your Android. What’s more, this can be utilized as a part of the request to change sites on other people’s PC from your Android smart phone. Just download the app because this is among the Top Android Hacking Apps. It will help you in finding the less crowded WiFi near you and also helps in hacking it. This is basically the penetrating app. This will help you in finding the android apps for the penetration process moreover, provide you with the complete satisfaction by hacking that desired app. This app will help you to connect the desired Wi-Fi network with a single click. This application collects a huge number of Wi-Fi passwords shared to the clients worldwide and putting away and circulating them from their cloud server for you to appreciate free traffic and network sparing. It will also help you in finding the nearby Wi-Fi network so; you will be able to hack. This is basically known as Android Remote Administration tool. By using this application you will be able to hack others smart devices through remote connection hence, this is the perfect 2018 hacker tool. Evil operator enables you to associate two individuals into a discussion making them think they called each other. The outcomes can be downright diverting!! Hence, this is the Hilarious invention for 2018. Spoof App is certainly utilized for entertainment only but it turns useful. It enables you to place calls with any ID number. Fundamentally, you can control what number appears on your companion’s telephone when you call. Fceniff is one of the Top Android Hacking Apps which will help you in hijacking the popular social networking websites that are Facebook, Twitter, and Instagram. This app basically provides you with a perfect security to your Facebook, Twitter, LinkedIn and all wireless networks. This Hacking app is essentially designed for the security purpose. So, you must download this and enhance the security. Shark is the Top Hacking Apps. This app is designed for the rooted Android devices. By using this app you will be able to track others activities on their devices. Usually, it is utilized in the offices when the combined staff works. This is another useful and awesome android hacking application, which works pair with the WhatsApp application. Utilizing this application, you can hack private WhatsApp talks, pictures, audios and videos of your friend who are utilizing your WiFi Hotspot. You can control pictures, recordings, and account information of him. This is an open WiFi hacking app; this application is used to remove anybody’s WiFi over your system. Execute WiFi is to a great degree valuable when you have an open WiFi not secured by a solid password. You can remove the WiFi of the holder by a few clicks. AnDOsid is an amazing app designed just for security experts to give them a chance to do DOS attacks. It is utilized to play out a DOS attack on sites or web servers utilizing the Android device. This app is much unique and extraordinary app that is used for testing the security of the WiFi networks. It is also the top hacking app, it is free and super-quick system scanner to find which devices are associated with any Wi-Fi arrange, delineate, survey organizers security dangers, investigate organize issues and accomplish best system execution, with the world’s most famous network toolbox. This is the Hacker’s Toolbox is an application for infiltration analyzer, Ethical programmers, IT chairman and Cyber security expert to perform distinctive undertakings like surveillance, examining performing abuses and much more. This is one of the great hacking apps, you can rapidly find all system users in WIFI, even when your smart phone has no legitimate IP address or not been allowed utilize Wi-Fi web. For whatever length of time that you associated with any WIFI, the net cut will definitely work. Market Helper is the Top Android Hacking Apps that enables clients to can change their attached smart phones to whatever other smart phones. It can make your Galaxy prime move toward becoming Samsung Galaxy G4 in almost no time. No reboot is required. By using this app you will be able to access those international websites which are restricted in no time. It is an extraordinary way for smart phone android application security testing in the Android condition and incorporates selective custom tools. AppUse’s center is a custom threatening Android ROM, exceptionally worked for application security testing. Lucky Patcher is the awesome invention for 2018 it is used to remove ads, to hack many games, for android different permissions and license, and backing up the apps. It will only work on the rooted devices. This is also among Top Hacking Apps, to use this app you must have the rooted android device. By using this app you will be able to change the Mac address of the network that you interface and by saving that address you will be able to utilize it for the next time.